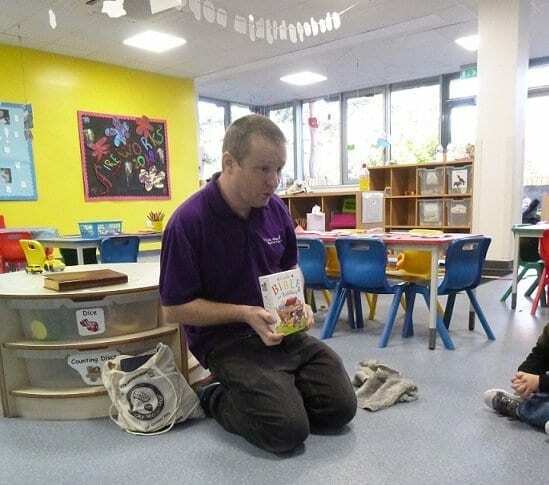 Boys & Girls Nursery Croxley Green were visited by Associate Minister Jonathan Bishop from Croxley Green Baptist Church to celebrate World Religion Day. The pre-school children enjoyed a visit from Minister Bishop where they learned about his role within the church and why he loves what he does. He went on to discuss the various ceremonies held in the church and what his favourite part of each ceremony is. After the visit, the children produced colourful pieces of artwork whilst discussing other religions which are celebrated throughout the nursery.